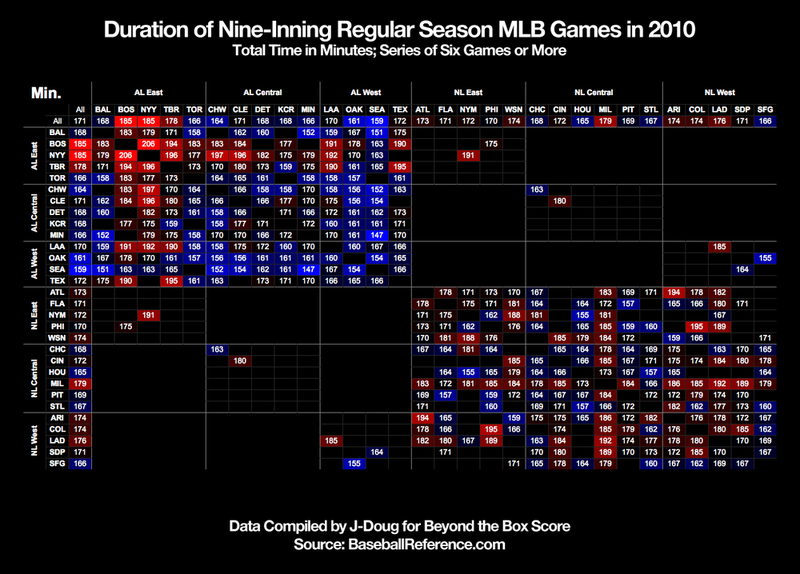 Revisiting my earlier work on game durations using 2010 data, I find that MLB games are getting shorter while the Yanks and Red Sox are still the slowest teams. Moreover, it remains true that--contrary to popular myth--the typical Major League Baseball game does not exceed three hours. In 2010, the mean nine-inning regular season game averaged 2:50. Please tell your friends. The good news (or bad news, for those of us who can't get enough baseball) is that these numbers are down from 2009, during which the average game ran 2:56.